A New Smile, the Makeover You DESERVE! These Restaurants Bring the World to Our Own Backyard! Why Dental Implants Are Your Best Choice For Missing Teeth. Throw Your Dentures Away And Get A Hybridge Dental Implant! Want Better Dental Care? Here’s What You Can Do! Dental Fillings: Do I Need To Replace My Metal Fillings? Dr. Alex McMillan is Getting Even Better! A Summertime Treasure – Farmers Markets! Dr. McMillan Just Made Your Dental Care Even Better! Dentist for Fairfax VA—Do You Know the Different Types of Teeth? It’s Never Too Late for Invisalign! Whiter Smiles for Washington D.C.
Burke Dentist Asks: What Do You Consider Beautiful? Your Teeth Whitening Questions Answered! Dental Bonding: Is it Right for You? A Beautiful Smile is Closer Than You Think! We Need Your Help Burke Community Spreading the Word! Five FAQs About Dentures – Are They Right for You? What is Periodontal Therapy? How Does it Affect my Well-being? Achieve Your Very Own Hollywood Smile Today! Wondering if You Are a Candidate for Dental Implants? Could Untreated Gum Disease Lead to Heart Failure? We Offer Sedation Dentistry to the Fairfax, VA Area! Oral Piercings with Jewelry—a Dental Dilemma? Halt Gum Recession through Dental Practice in Alexandria! Top Dental Care in Burke for Friends and Family Too! Boost Your Child’s Esteem–See Burke Family Dentist Regarding How! 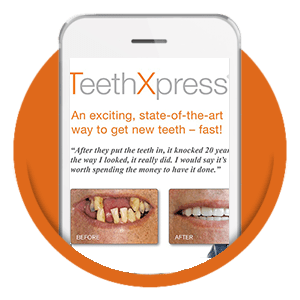 Why Replace Older Dental Treatments? Burke Dentist Sees Unsuspecting People Lose Teeth–Why? We Volunteered with Mission of Mercy and Changed Lives! Tis the Season! Welcome to our Holiday Guide! Family Dentistry Gives Burke Residents Thumbs-Up on Chewing Gum! Call your Dentist in Alexandria Before it’s Too Late! Spring is in the Air, Burke and Alexandria! We Have 2 New CT Scan Machines! Keep Your Body and Your Smile Healthy This Summer! Help Support our Clothing Drive! How Do We Make You Comfortable at the Dentist? Why Does Orange Juice Taste Bad After Brushing? Invisalign: A Fast, Convenient Solution! Invisible Braces? Burke & Alexandria Dentists Feature Invisalign! Is an occlusal guard for you? Resolve to Smile More in the New Year! One More Reason to Enjoy That Cup of Tea! Best Dentist in Alexandria Announced! What is a Bad Bite Doing to You?